Lasers can be categorized based on their emission wavelength within the electromagnetic spectrum, of which visible light lasers — such as those in laser pointers — are only one small part. Infrared lasers are used for optical communications through fibers. Ultraviolet lasers are used for eye surgery. And then there are terahertz lasers, which are the subject of investigation at the research group of Sushil Kumar, an associate professor of Electrical and Computer Engineering at Lehigh University. In a recent paper published in the journal Nature Communications, the Lehigh team — supervised by Kumar in collaboration with Sandia National Laboratories — reported on a simple yet effective technique to enhance the power output of single-mode lasers that are "surface-emitting" (as opposed to those using an "edge-emitting" configuration). Of the two types, the surface-emitting configuration for semiconductor lasers offers distinctive advantages in how the lasers could be miniaturized, packaged and tested for commercial production. The report discusses experimental results for a monolithic single-mode terahertz laser with a power output of 170 milliwatts, which is the most powerful to date for such class of lasers. The research shows conclusively that the so-called hybrid grating is able to make the laser emit at a specific desired wavelength through a simple alteration in the periodicity of imprinted grating in the laser's cavity while maintaining its beam quality. Kumar maintains that power levels of one watt and above should be achievable with future modifications of their technique — which might just be the threshold needed to be overcome for industry to take notice and step into potential commercialization of terahertz laser-based instruments. This research was made possible through grants awarded from the National Science Foundation (NSF). Experimental methods: The semiconductor material for the lasers was grown by the process of molecular beam epitaxy by John L. Reno at the Center for Integrated Nanotechnologies, which is jointly operated by Sandia and Los Alamos National Laboratories for the Department of Energy's Office of Science. The lasers were fabricated in the cleanroom facilities of the Center for Photonics and Nanoelectronics at Lehigh University. 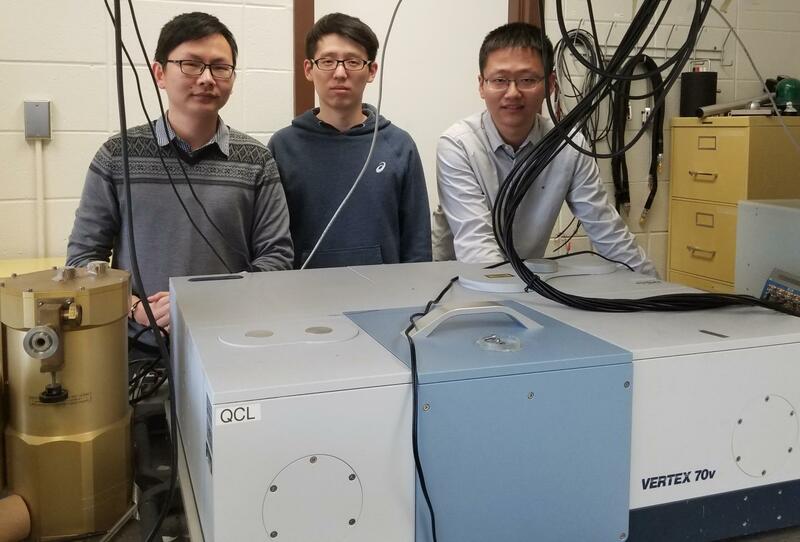 The overall research, including theory, design and experiments were performed by Lehigh electrical and computer engineering graduate students Yuan Jin, Liang Gao, Ji Chen and Chongzhao Wu (now at Columbia University) in the Terahertz Photonics laboratory supervised by Sushil Kumar.